Xmas got my lil princess stomp n chomp grimlock, full set of one steppers hidden around the house, AOE Statue Blu ray set and spare aud blue ray in case it doesn't work! I've not posted a picture for a little while, so i added a couple more in this photo, and a couple in November I think? Most was from Christmas though Amazing how sometimes my camera takes amazing photos, then when I want to take one it takes it like crud. Arcee and Chromia from my sister. Generations Dreadwing, Waspinator, Skids, Goldfire, Armada Starscream, Skyward, Minicon Assault Team, Scoop, Tankor, Rattrap, Crosscut, Jhiaxus, Windblade, Nightbeat, Roadbuster, Jetfire. 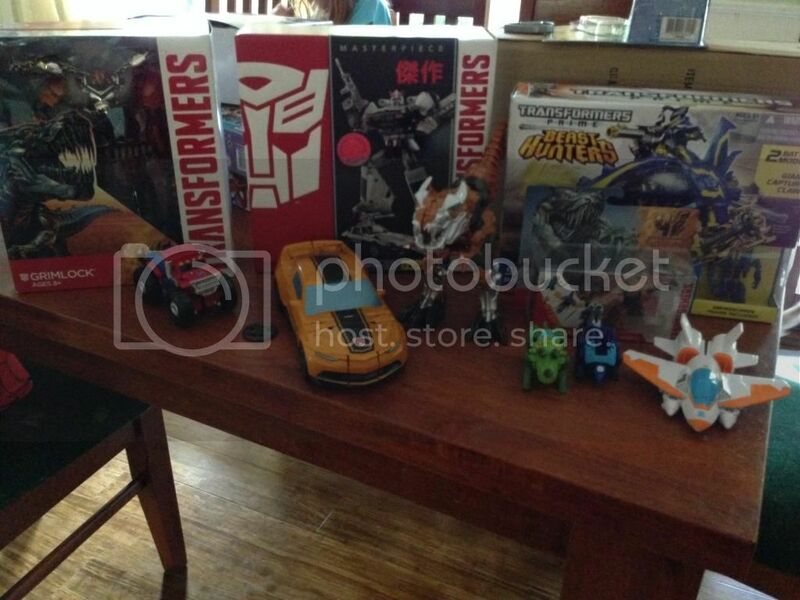 Movie Galvatron, Drift, Slog, Snarl, Bee, Lockdown, Leader Grimlock and Optimus. Prime Kup. Beast Hunter 2 Pack. 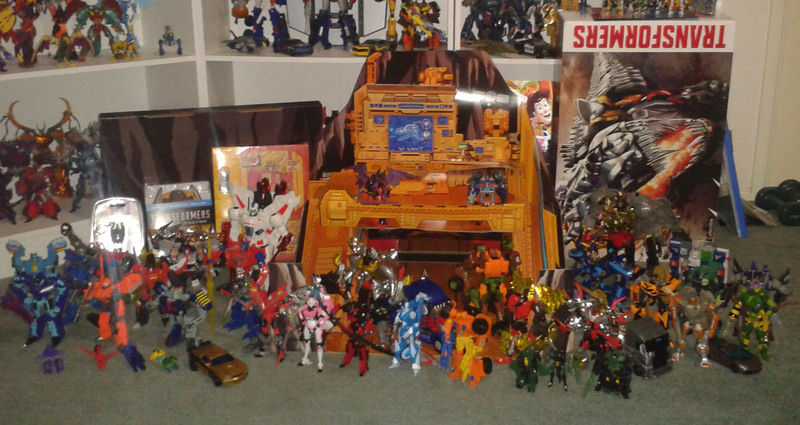 MP Grimlock, Comics, Optimus USB Stick, AoE Blu-Ray, Some knock off Fort Max and some other stuff I've either missed or not put in the photo. SDCC dinobots, from your Mum?!!?! That's insane. That's a really nice picture, it captures the essence of the year well. I may well have to get the SDCC set. Wow Mythirax, that Autobot base looks amazing! 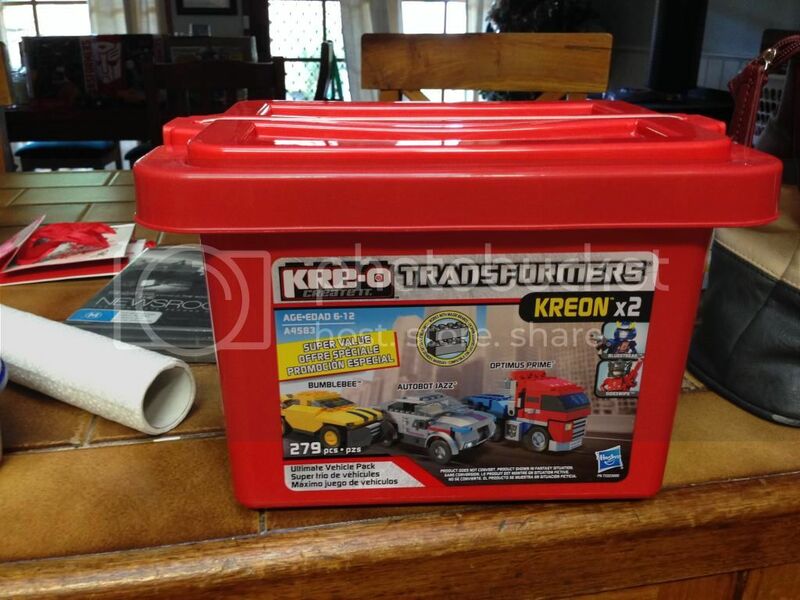 What is or where is the Autobot base from?